When you invest in leadership development, you are making an investment. It’s something that you pay good money for and expect a return on your investment. But what many leaders don’t realize is that leadership development should be strategic. We once had a coaching participant (CFO) who worked in a family company. Once the CEO retires, the CFO is set to become the CEO. Instead of going into the job blind or get coaching at the wrong time, this individual sought out coaching before he was set to take over the company. So, why invest in leadership development in the first place? People will always be a good investment. Why? Because without people, you will not be able to accomplish all of your goals for your company. There’s a phrase… The tone starts at the top or the fish rots from the head down. Whichever phrase you prefer, it hints at the same thing. Success (or failure) is a result of the leadership of a company. If you want a future for your company, then you need to focus on your leadership and management. You can accomplish this in 2 ways – 1) hire good leaders and 2) invest in leadership development for existing company leaders. A legal entity should stand on its own no matter what changes are made at the top. There should always be a succession plan whereby management should be able to step up to executive roles. Without investing in your team, this will not happen. The second option rides on the fact that you have already invested in a current employees with their compensation, benefits, etc. Now, it’s time to get them the coaching they need to further increase their value to your company. There are several reasons to invest in leadership development including improving profitability, retaining talent, and improving return on investment. Harvard’s research report on The State of Leadership Development discusses how leadership development addresses the “demands for change to address threats from global competition and technology-driven upstarts; the need to engage a multigenerational workforce with a range of work styles; and the imperative to cultivate a new generation of leaders who can meet these needs and thrive.” Simply put, companies need to address competition, culture, work styles, and generational differences to compete on a global scale. If your leaders know how to improve profitability with the tools, resources, and second-hand experience from a leadership development program, then they will become evermore valuable to your firm. Leadership development will coach them how to make strategic decisions, how to lead effectively, and how to find opportunities. All of those benefits have the opportunity to improve profitability. Day 2 of the Financial Leadership Workshop is all about improve profitability and cash flow. Click here to learn more, then contact us to register for the next series. In addition, companies cannot motivate all people by money. In fact, financial gain isn’t the only thing many employees negotiate. The next “gain” many negotiate for is mentorship, training, coaching, and further leadership development. That should tell you something. We all know the cost of turnover is high and can potentially make a dent in profitability. Your company’s goal should be to retain talent for as long as possible. 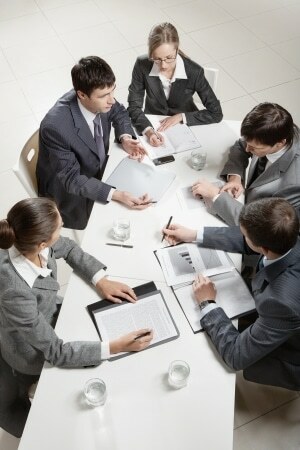 Many leadership development programs do not effectively communicate how they are going to improve return on investment. 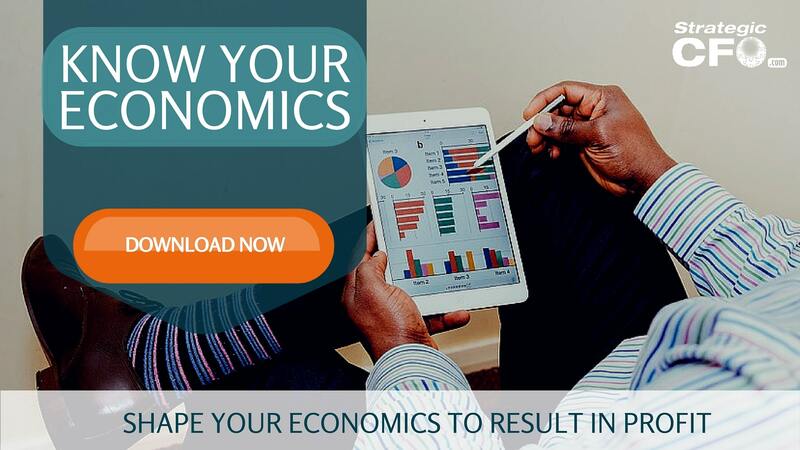 A good CFO or financial leader should be able to increase value 1-2% of sales in profits. For example, if a company has $1mm in sales, then a CFO should be able to increase profitability at least $10-20,000. And it goes up from there! If the investment is greater than 1-2% of sales, then I would advise you to find a different program. How much return can you expect from investing in your leaders? Financial leaders should always be looking at ways of adding value. More specifically, your financial leadership needs to be further developed in their leadership skills. 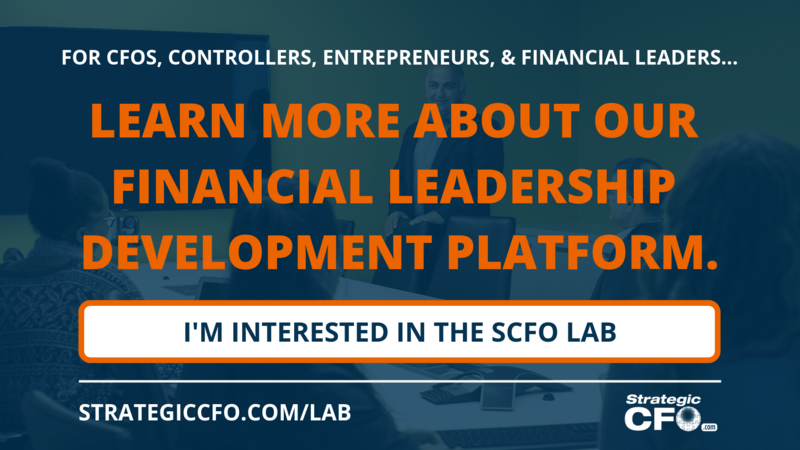 In our Financial Leadership Workshop, I enable my students to go beyond the role of CFO/CEO to become the central financial leader in the company. Furthermore, our curriculum empowers you to become both an influence and decision maker in your company. Any financial leadership development program worth investing in should accomplish a couple things. It should make the shift from numbers cruncher to financial leader. It should also cover how technology changes the role. Obviously, it should address profits and cash flow. There are many other topics that I could list here, but you can read more about what you should be prepared to walk away from a coaching workshop here. Right now, registration is open for our Financial Leadership Workshop Gamma Series starting this October. Click here to learn more about our program and contact us to see if it’s the right fit for you. 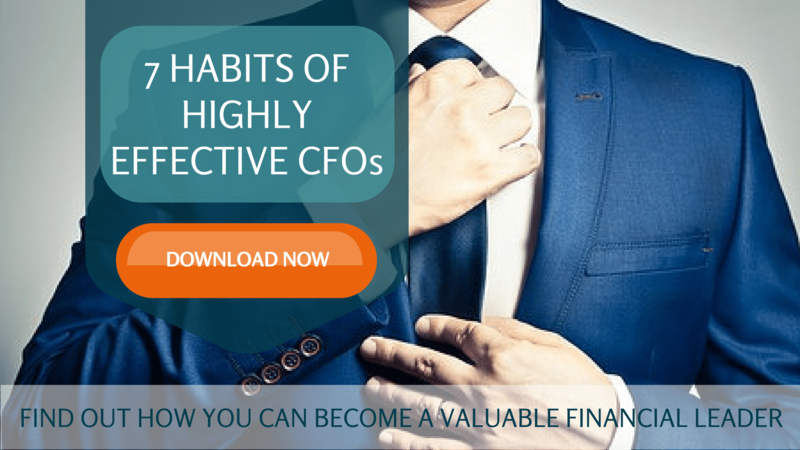 In the meantime, I also wanted to gift you our 7 Habits of Highly Effective CFOs. This whitepaper is by far our most popular whitepaper and is just a snippet of what to expect in our Financial Leadership Workshop. Do you sometimes feel that the value you bring to your company is worth more than your salary? In the business world, often expectations exceed compensation, especially with financial leaders. What does the role of a CFO actually look like? Are you the person that your CEO contacts to “fix the problem”? Have you been told to figure it out even if you don’t know how to fix it? Are you responsible for learning the skills to fix that problem? Often, CFOs will find themselves wearing too many hats due to problems within the company. The CEO’s solution is usually to generate more volume, but resources don’t generally increase proportionately. Most of the time, this means that the CFO takes on more responsibilities in response. This isn’t always a good thing. Sometimes the company depends so heavily on the CFO, that the CFO feels unappreciated or that he/she deserves more money or esteem. This past Friday, I moderated a panel of 3 financial leaders in various industries to discuss the issue of wearing too many hats. I’ve put together a summary of what issues were raised among our panelists as well as the Houston CPA Society’s Conference attendants. The discussion was so interesting and enlightening, we’re dedicating the next few blog posts to the highlights of what the panelists shared. At the heart of this juggling routine is what we call “the life cycle of a CFO“. The notion that CFOs had a “life cycle” came to me through observation over 25+ years of consulting with entrepreneurs and their companies. This cycle is comprised of 4 stages: a problem arises, cleanup occurs, new duties are assigned, and the CFO burns out or looks for greener pastures. 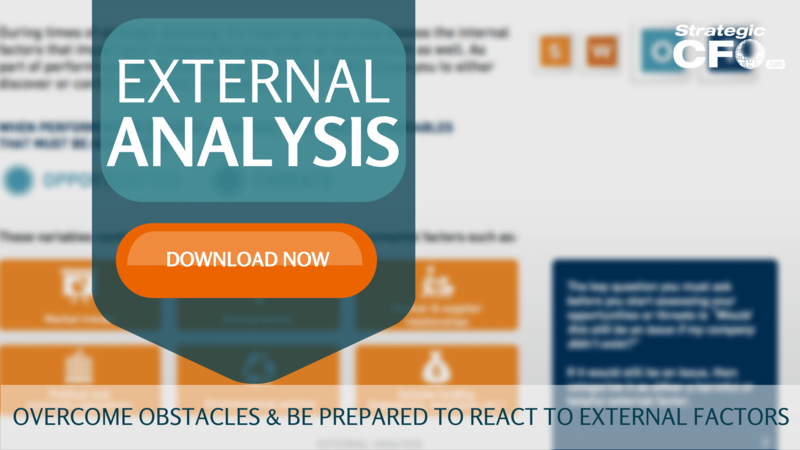 The life cycle of a CFO begins with a problem within a company. The company has grown beyond the capabilities and skills of the current employees. To solve these problems, the company hires a CFO on the team (either temporarily or permanently). From there, the CFO cleans up the company’s financial processes and gets the systems up to speed. The problem is fixed – so now what? Often, the CFO finds himself/herself filling time and justifying their existence once a problem is resolved. The CFO will pick up new job duties, help out other departments, etc. It’s only a matter of time until the CFO realizes that his or value is worth more. The real question becomes how to add value as a CFO. At this point, the CFO is wearing the janitor hat, the insurance agent hat, the HR hat, the banker hat and the CFO hat (and possibly others depending upon how good/willing they are). As I mentioned, I recently moderated a panel discussion at the Houston CPA Society’s CFO/Controller Conference. During this session, I asked the panel many questions including what hats they wore within their companies, and how that posed challenges in their work experience. One panelist, Derek, mentioned that he had to balance both operational and financial roles in his company. They hired Derek to handle both of these roles. This illustrates how the role of a CFO has evolved over the past 25 years. As the role of a CFO changes, the relationship between the CEO and CFO changes. Learn more about how to guide your CEO as a trusted advisor by downloading your free guide on How to be a Wingman. Derek mentioned that the job was particularly difficult because he had no definitive role or expectations. He found it challenging that he didn’t know how the typical day is, what reports were required, or where to find the information to solve these issues. Determining his daily role within the company become a task in itself. Especially as he stepped into higher levels of financial leadership, there were more moving parts that hadn’t been defined. The next panelist, John, had a different situation than Derek. John is the CFO of an engineering firm. Rather than working an operational job, John calls himself “The Job Man.” He receives all the jobs that nobody else wants. John looked at this from a positive standpoint. In order to continue working as a valued asset to the company, you must learn not to say no. In this ideology, there is nothing in your realm that you cannot do. This stance is interesting; not everyone is usually as optimistic. How high can you stack the hats? Paul, the third panelist, mentioned a great point: in any small to medium sized company, you’re always going to stack hats. The questions is, how high can you stack them before they fall (or your neck snaps under their weight)? Upon hiring a CFO, a company interviews to see what you can bring to the table (i.e. the right amount of relationships with banks, the IT skills required to be a financial leader in the company, knowledge of your financials). You’re sharing everything in your bag of tricks not realizing that they are listening most attentively. How can you be surprised when they take you up on your special skills? Despite your amazing skill set, you can’t do it all. So to keep the hats from crashing down, which hat would you give up? No matter what hats you wear in your company, the most important hat is wingman to your CEO. Business owners care more about the value you help them bring to their company and your financial leadership than they do compliance and caution. To extend the life of a CFO, it crucial for the CEO and CFO to partner together. As a CFO, you are in the unique position to understand all that is necessary to keep moving the company forward. Our panelists highlighted the importance of determining your role, taking action to learn new skills, and focusing your skills within the company. While you may sometimes feel like you’ll topple over under the weight of all the hats you wear, remember to focus on what’s really important – having your CEO’s back. Next week, get the panelists take on what millennials bring to the table! 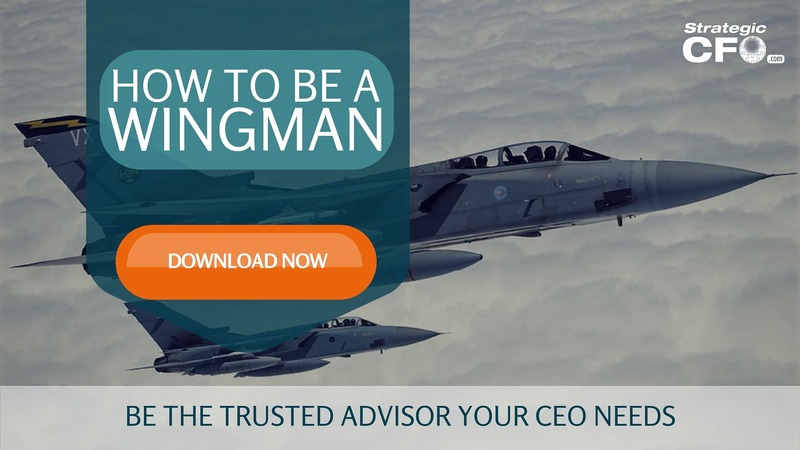 If you’re interested in becoming the trusted advisor your CEO needs, download your free How to be a Wingman guide here.